Many thanks to Helen at Fuss Free Flavours and Camilla at Fab Food 4 All for giving me the opportunity to host this challenge and for their unfailing support in retweeting and promoting this event. 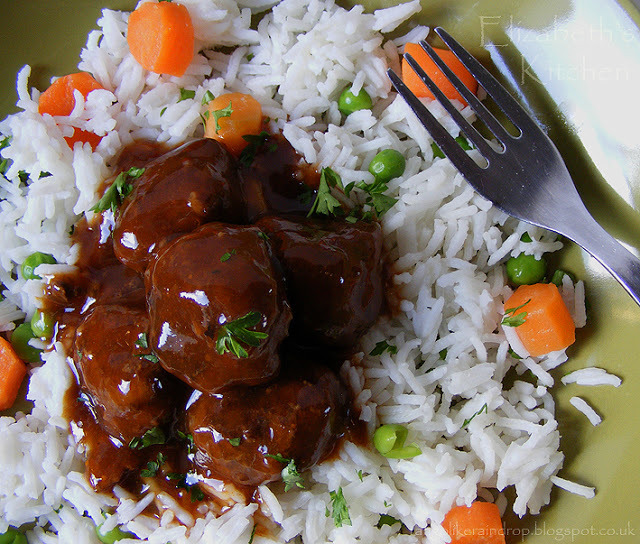 In Elizabeth's Kitchen we have a little bit of Canadian heritage cooking with this frugal Sweet and Sour Meatball recipe, made with store cupboard ingredients. It looks great and any recipe handed down over generations has to be good! 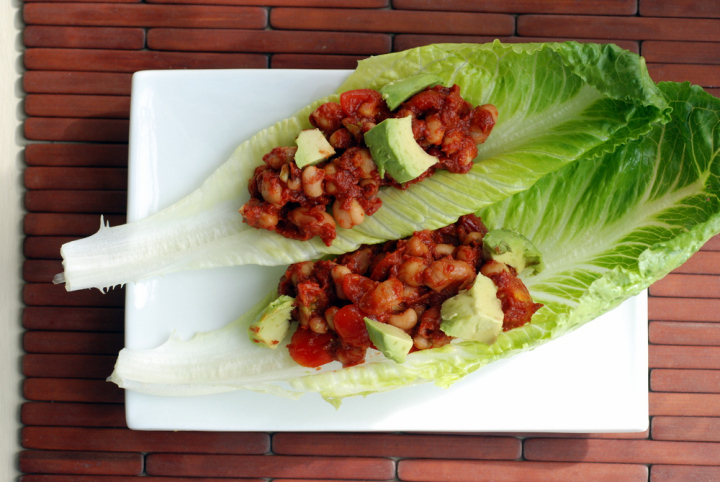 Don't these Mexican Chili Salad Wraps look so fresh and delicious? They are made with a can of mixed beans, some spices and an avocado. Great dish from The Taste Space. 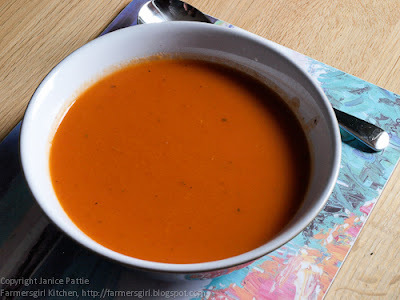 Here is an old favourite from me, it's ideal for using up those dodgy carrots in the bottom of the fridge 'Carrot and Tomato Soup'. Having cleared out most of the food before a camping holiday, Anneli from Delicieux created 'Stroke of Genius Asparagus parcels' from the ingredients she had left. 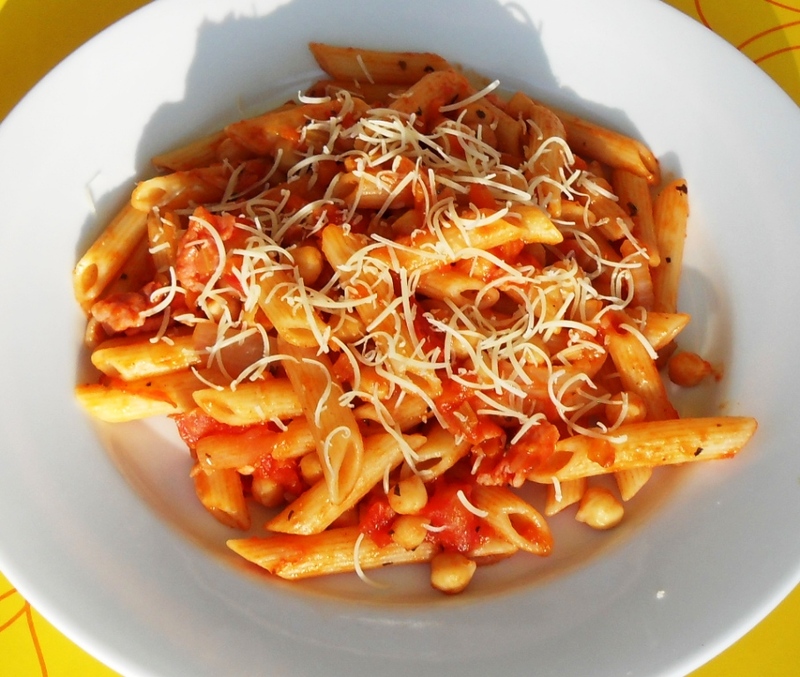 They proved to be a smash hit and will be featuring on her menu again very soon. 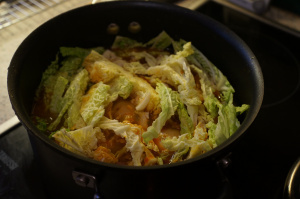 As one of the hosts of Credit Crunch Munch, Camilla at Fab Food 4 All is full of money saving ideas and frugal recipes. This one is Chilli, Bacon and Chickpea Pasta which is one of her 'signature' dishes. 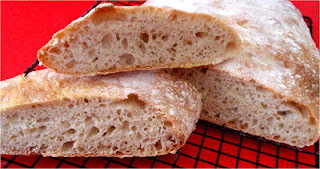 I keep saying I'm going to make gnocchi, but still haven't got around to doing it! 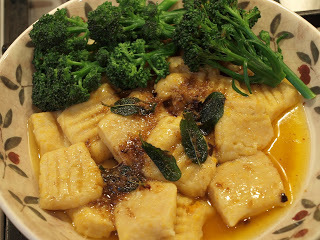 Jane at Onions and Paper has made a fabulous dish of Butternut Gnocchi with brown butter and sage, it certainly looks tempting. 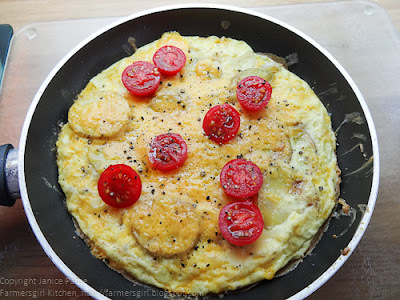 Another one from me, a Credit Crunch Munch Omelette using left overs to make a meal. Another Fab Food 4 All recipe, this is Chocolate Drizzle Flapjack, doesn't that look good! I love the look of these Superfood Pancakes especially covered as they are in lovely maple syrup, thanks to A Kick at the Pantry Door for this treat. 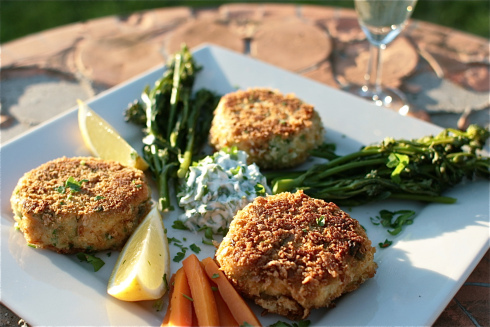 Smoked Salmon Fishcakes are described by Chez Foti as 'a cinch to make and a fast cinch at that'. I'm a huge fan of smoked salmon so these would suit me very well. 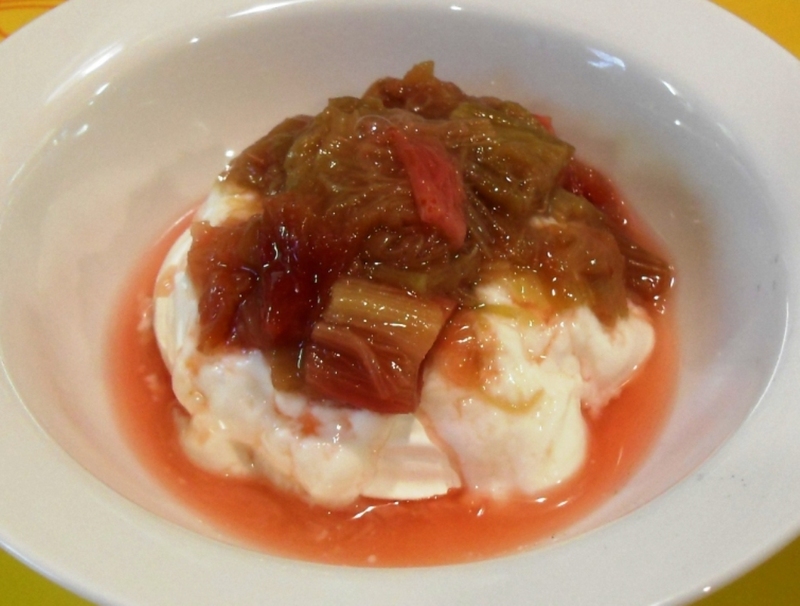 A Fab Food 4 All Rhubarb Compote combines perfectly with Greek Yogurt and Meringues and also, but separately, with semolina. 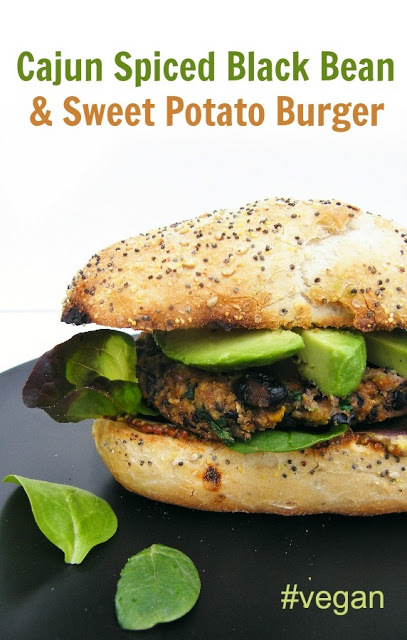 This Cajun Spiced Black Bean & Sweet Potato Burger is the incredible invention of Jac at Tinned Tomatoes and meets all the vegetarian and vegan requirements. A classic Italian dish of Spaghetti Puttanesca with a Fiery twist, from Jacqueline at How to be a Gourmand, what a lovely fresh looking dish. Just look at this dish, how incredible does that look? 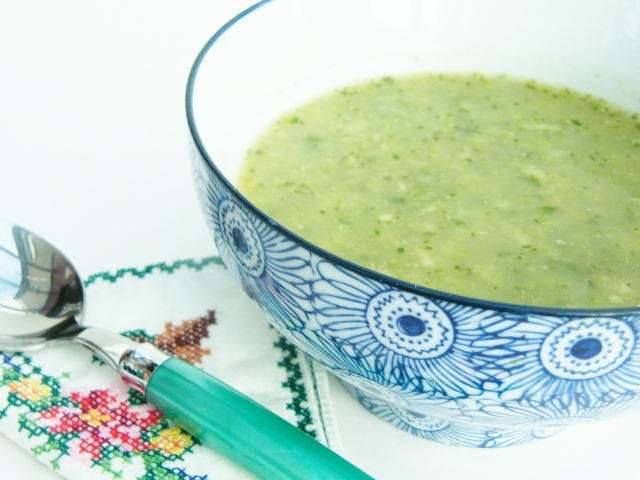 It's a Wild Garlic Minestrone Soup from Chip Butties and Noodle Soup. 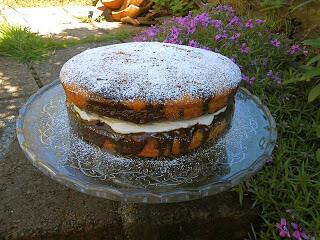 Choclette at Chocolate Log Blog pushed the boundaries of Best Before with a successful Mango and Chocolate Cake. A lovely warming Pork and Sausage Stew is served up to guests at Riverside Baking. 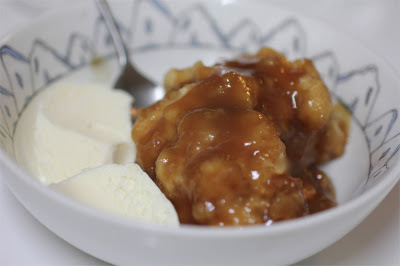 Golden Syrup Dumplings are such a simple and inexpensive way to create a comforting treat. Hats off to Green Gourmet Giraffe for sharing this lovely dish with us. 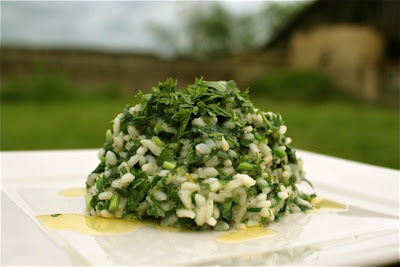 I have a bit of a thing about foraging so love the idea of a Forager's Freebie: Nettle and Wild Garlic Risotto another winner from Chez Foti. For anyone following the 5:2 diet, or any other diet for that matter, this 111 calorie per bowl, Broccoli and Celery Soup is just the kind of inspiration needed. Thanks to Jac at Tinned Tomatoes for sharing. 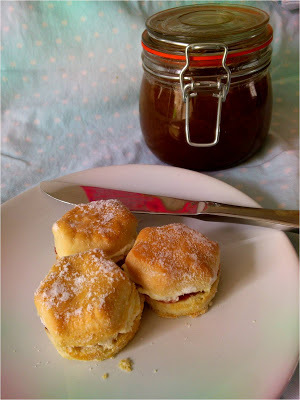 Ros, The more than occasional baker, has been rummaging in her store cupboard to come up with these quick and easy Cornflake and Raisin Cookies. You need a bit of patience to make these incredible Red Lentil Dosas as they are a fermented pancake type of bread, brought to the Credit Crunch Munch by Jen at Blue Kitchen Bakes. Oh we do love a freebie! 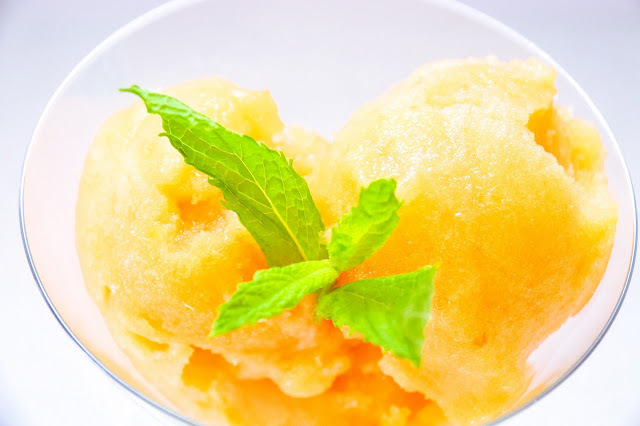 Nicole Bremner spotted some boxes of slightly bruised peaches, about to be thrown out by her greengrocer, and took them home to make this stunning Peach Sorbet. 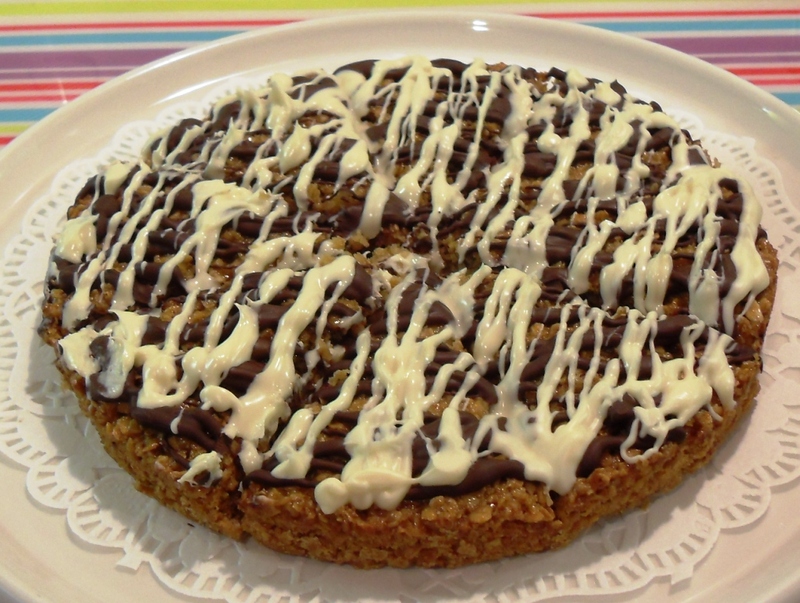 Having run out of eggs, Michelle at Utterly Scrummy, was undaunted and went on to create this Eggless Banana Bread, which she describes as an enormous banana scone! This Sausage and Apple Filo Roll is described by JibberJabberUK as a jumbo sausage roll, this is certainly a family friendly recipe for people on a budget. Beef Stew with Orange and Ginger sounds like a very good idea from Anneli at Delicieux, one I will certainly be bookmarking. 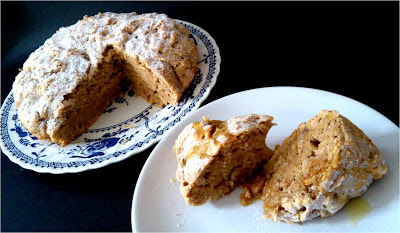 Peach yogurt was the unusual ingredient used by 'Ma Niche' in this Zucchini Bread Loaf fortunately it worked really well and the loaf was enjoyed by all the family. 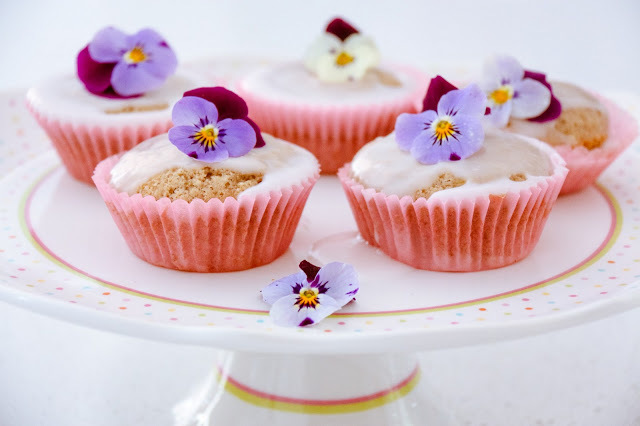 These sweet Rhubarb Fairy Cakes from Nicole Bremner, finish off our Credit Crunch Munch round up. 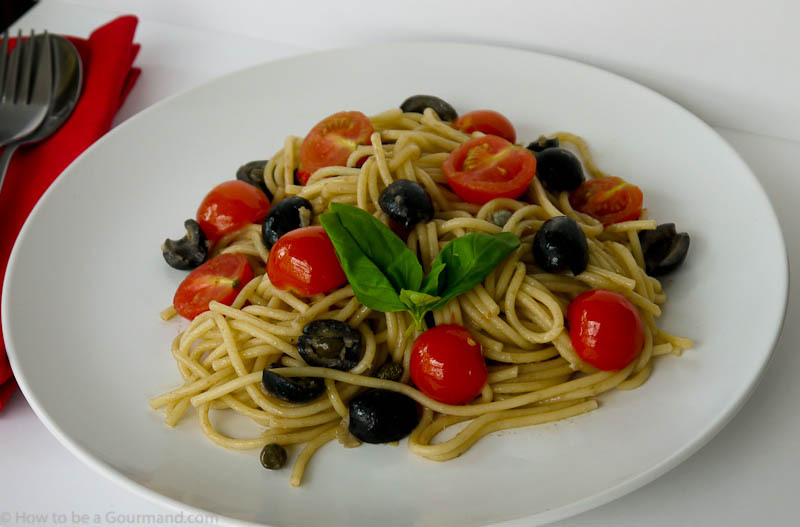 Many thanks to everyone who cooked or baked and shared their money saving recipes. #19 Choclette from Chocolate Log Blog for her Mango and Chocolate Cake. What a fabulous job you've done rounding up this month's Credit Crunch Munch entries Janice - thank you so much for being such an excellent host:-)Go and have a lie down now or a gin! What a brilliant and varied selection! What a lovely round up, and I bet it's possible to cook the whole lot for less than the prize of a decent restaurant meal! Excellent round up - so many fabulous recipes and ideas. 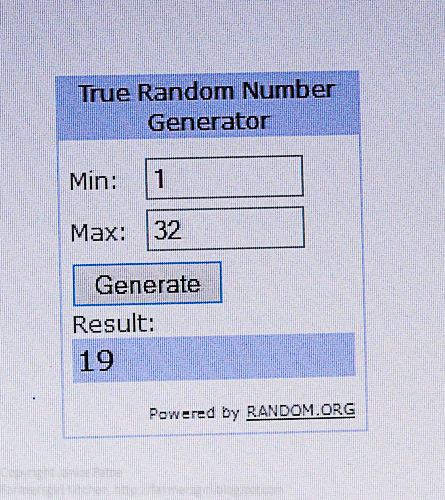 Congrats to Choclette!